Kathryn Bernardo just turned 23 today, you guys! Time flies by so fast, it feels like it was just yesterday when the Teen Queen was, well, a teen. 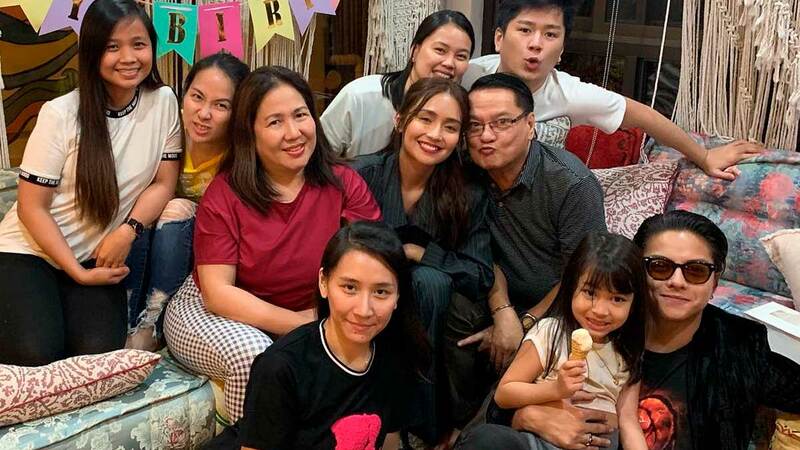 For her birthday this year, Kath had a simple and intimate birthday salubong with her family AND her boyfriend Daniel Padilla! She also shared a message for her daughter! In a video, Tita Min (as KathNiel fans fondly call her) said, "Thank you for being a good daughter sa amin ng papa mo, a loving sister, and a caring tita. Palagi mong sinasabi na hindi ka perfect, but I want you to know that your imperfections are not your flaws, they are your beauty." Earlier in 2019, breakup rumors between Kath and DJ began circulating, after Daniel *accidentally* unfollowed and followed his girlfriend on Instagram. They addressed the rumors, with Kathyrn saying, "Sobrang saya namin ni DJ ngayon. Hindi porke't hindi kami nagpo-post na magkasama kami, hindi ibig sabihin hindi kami okay. Kasi siguro, parang privacy na lang namin yun. Yung iba, siyempre." Kath also received a surprise birthday cake from her new leading man Alden Richards earlier this March! The two are set to play OFWs in a movie to be shot in Hong Kong.